Avial is one of my favorite recipes from childhood. Its such an easy dish to make and the real beauty of this dish is in the fact that , you can use any veg you like in this and the result would be and amazingly delicious and healthy side dish with rice. 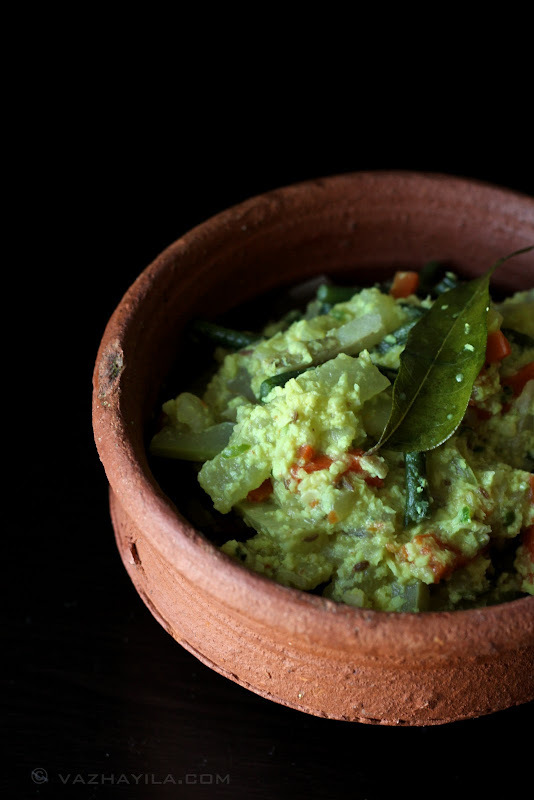 Oh I can't imagine a onam and vishu sadya without this..Yumm! Are you on a diet , then this is for you! Instead of 1.5 cup grated coconut add just 1/4 cup and add only those" good for you on diet" vegetables and make this . 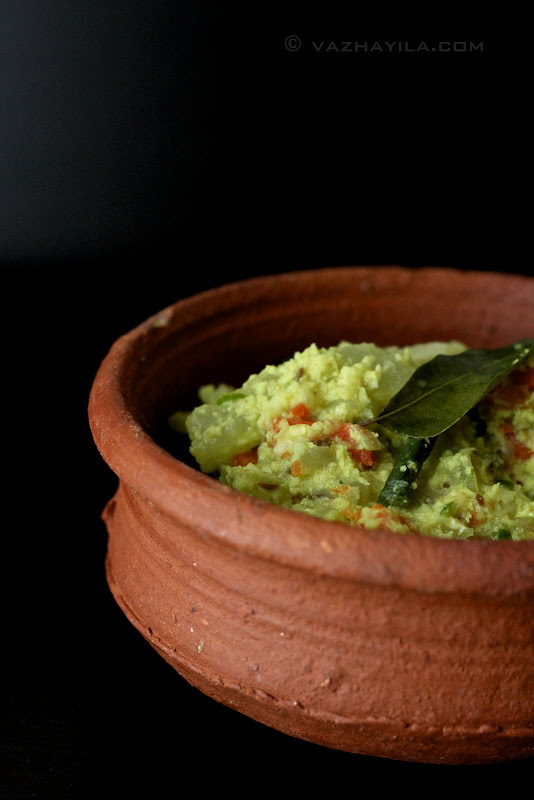 In a food processor coarsely grind grated coconut , cumin seeds , turmeric powder , garlic , green chilies and 2 or 3 curry leaves. Add this and yogurt to the cooked vegetables and combine well. Simmer for a minute and remove from fire. 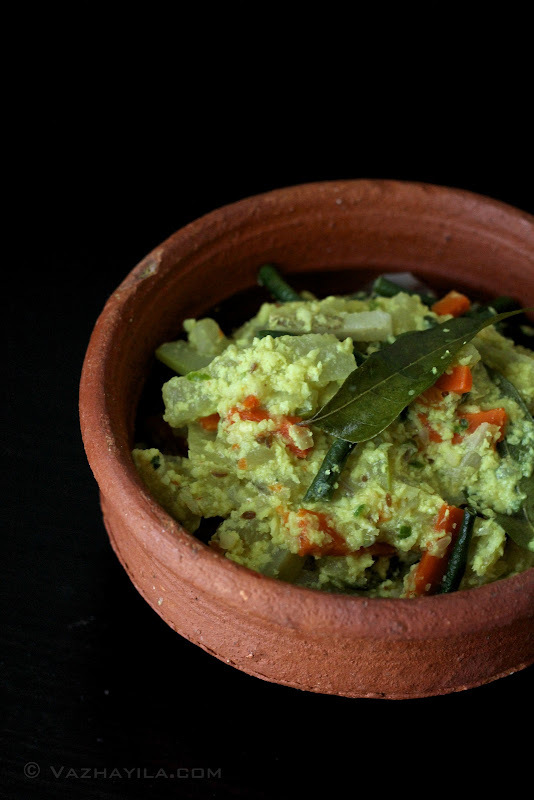 Drizzle a table spoon of coconut oil and some curry leaves and serve warm. Just 2 days before i came to know the site.I was so excited ,because i am from k.k.dist.The recipes are almost same as mine.I don't know you already post ulunthan choru in your site. If you didn't can you please post it.If you want i can give you the recipe. avial is so good. with out okra i made it. thanks for wonderful non veg recipes.I am a veg.person My kids &husband eat non veg. thanks again for your wonderful recipes.